Reference $3000.00 No App Store 2018-05-17 SELVAS AI Inc.
Reference $3000.00 No SELVAS AI Inc. 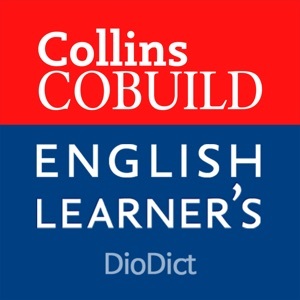 The complete Collins COBUILD Advanced Dictionary • Made specially for learners of English • Over 146,000 words, meanings and examples • Thousands of notes on grammar and ways to use words • No internet connection needed. 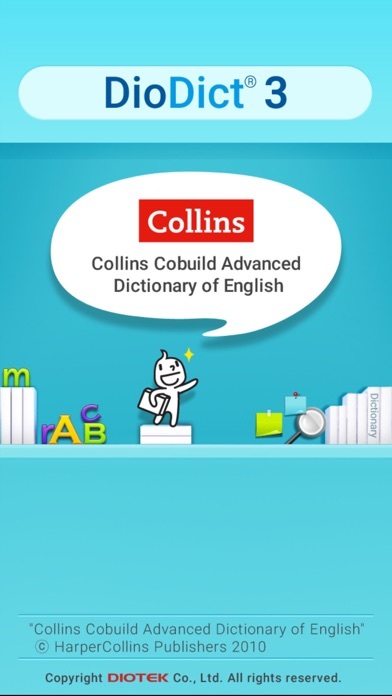 Collins is one of the top makers of English language dictionaries in the world. Its language specialists make use of large amounts of language data to create up-to-date dictionaries with many examples and grammatical information. The word descriptions are designed specially to help language users know how and when to best use a word. This app contains the full version of the Collins COBUILD Advanced Dictionary, 6th edition, 2009. 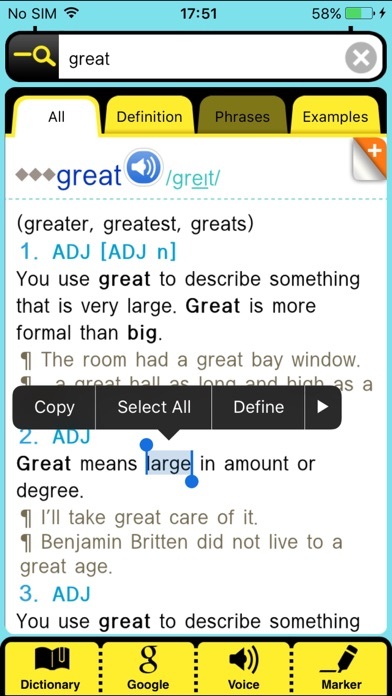 Dictionary features include: • 41,000 word entries and 105,000 text samples including all frequently used words. • a long list of phrasal verbs with detailed descriptions of their meaning. • meanings explained using commonly used words only, so learners can easily understand entries. • British and American English vocabulary. British/American-only words are specially marked. • explanations and examples use natural sounding, commonly used grammar and expressions. • thousands of examples of real English showing learners how a word is normally used. • audio files with American native speakers‘ pronunciation of words and sentences. • a pronunciation guide (IPA) with word stress shown next to each word entry. • large amount of grammatical information: -- parts of speech (noun, verb, adj. etc.) of each word. -- irregular verb forms and noun plurals. 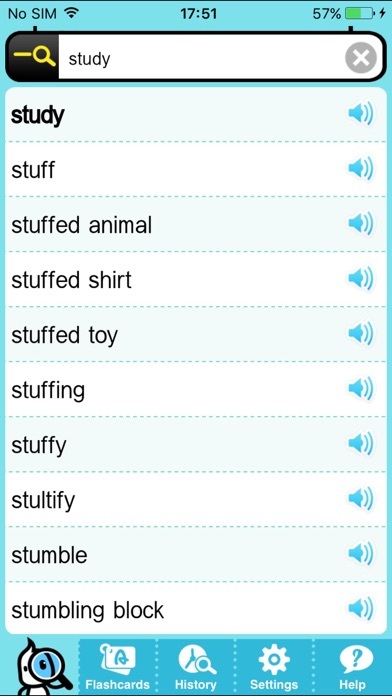 -- which prepositions are used with which verbs and adjectives. -- whether a noun is countable or non-countable. • no internet connection needed to use dictionary --Search Features— • Wildcard search: enter “?” or “*” in place of a letter when you are unsure of the spelling (e.g., “man*ver” retrieves the word “maneuver”). • search for similar words: e.g. clicking on “adding” in an entry yields a list of similar and derivative words: “addition”, “additional”, “additive”, “addition reaction”. • Browse through the dictionary alphabetically or flip from one entry to the next with a flick of a finger. • link to Google so that you can search for more information on particular words. 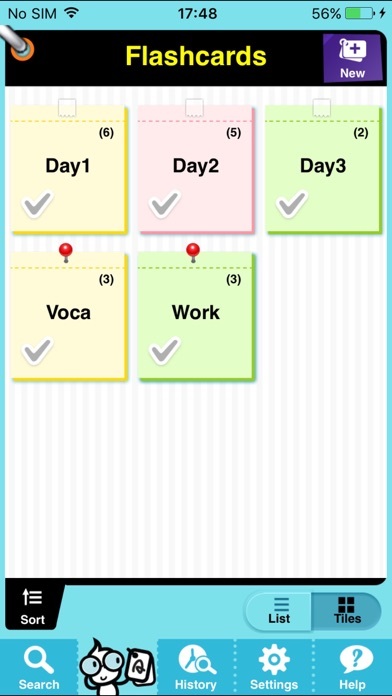 --Special features for revising vocabulary— • History menu lists all your recent word searches. • save words and expressions to any number of flashcard folders. 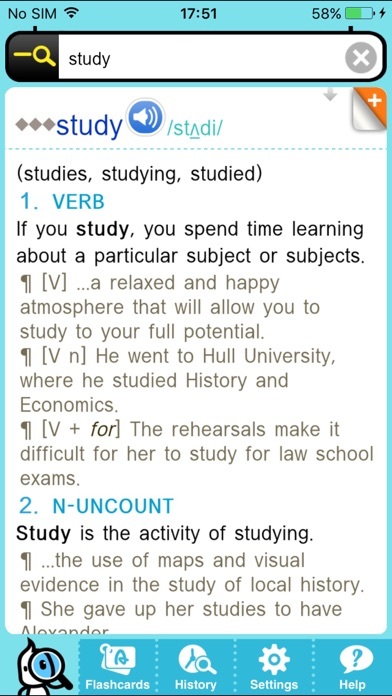 • mark flashcard words which need you still need to memorize. ** In order to conform to iOS guidelines, we have had to raise the lowest compatible iOS version to 8.0 ** --DioDict 3 dictionary engine for iPhone— DioDict is the number one brand in mobile phone dictionary software market. A dedicated team of over 100 developers, planners and quality control specialists work together to create high quality software using the latest language technology. Our dictionaries are tested thoroughly before release and are pre-installed on a large range of mobile phones old and new, including Samsung and LG smartphones. ■ CS center : [email protected] Our company name is now 'SELVAS AI' officially changed from DIOTEK. The new name reflects our dedication to Artificial Intelligence technology, all of us at SELVAS AI strive to do our best for our customers.